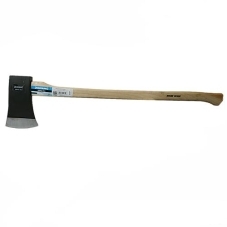 Felling Axe. 4.5lb. Complete with drop forged carbon steel head, a ground and polished cutting edge, an extra long hickory handle and it has also been heat treated. ID required to prove over 18 to purchase this item.